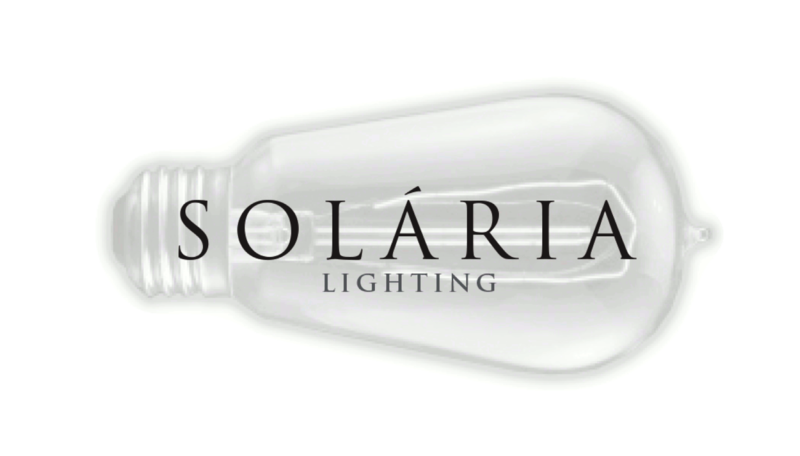 Thank you for your interest in Solaria Lighting. Please remember to include a copy of your Business License and Tax ID. Once all your information is verified we will give you access to our online catalog. You only need to fill out this form if you haven’t made a previous purchase. If your information is on file, create a new user account here. I've read and agree to the Terms and Conditions and Freight Agreement set forth by Solaria, Inc. Please read these terms and conditions throughly. Application information is below. Please make sure to read the Terms and Conditions, as well the details of our Freight Shipments. 1. ACCEPTANCE BY BUYER: Buyer’s submission of an order, either verbal or written, to Vendor for the purchase of goods shall bind the Buyer to the terms and conditions set forth in this Price Quotation. Any purchase order issued by the Buyer for the purchase of Vendor’s goods which contains different or additional terms or which contains terms and conditions in conflict with the terms and conditions shall not be binding on the Vendor. Vendor shall not be bound by the terms and conditions of Buyer’s Purchase Order unless Vendor agrees in writing to do so. Vendor shall not be bound by Buyer’s acceptance of this Price Quotation until Vendor has received and accepted Buyer’s offer to purchase. 2. MINIMUM ORDERS ACCEPTED: The initial order from Buyer shall be not less than Seven Hundred Fifty and 00/100 Dollars ($750.00) exclusive of any applicable taxes, shipping or freight charges. The minimum amount of a re-order of the same goods shall be One Hundred and 00/100 Dollars ($100.00) exclusive of any applicable taxes, shipping or freight charges. 3. LEAD TIME: All in-stock BOXED shall have an estimated lead time of 2-4 weeks from receipt of payment. All MADE TO ORDER items shall have an estimated lead time of 8-10 weeks from receipt of payment. All CUSTOM orders shall have an estimated lead time of 12-16 weeks from receipt of payment unless otherwise indicated by Vendor at the time of purchase. Orders may be “rushed” at the discretion of Vendor for a 25% rush fee. right to charge to their credit card on file, in part or in full any monies owed including late fees. 5. EFFECTIVE DATE: Buyer’s acceptance of this Price Quotation or issuance of a purchase order shall not be binding on the Vendor until Vendor acknowledges, in writing, its acceptance of the Buyer’s offer to purchase pursuant to the Price Quotation or any purchase order and receipt of the Deposit. This shall be the Effective Date of this agreement for the purchase and sale of the goods. Any production or proposed delivery dates shall be calculated from the Effective Date. Any order being paid by credit card shall be charged for the Deposit at the time that the order is accepted by Vendor. Upon completion of the processing of the goods, any credit card purchase may be charged for the remaining balance of the purchase price seven (7) days prior to the projected shipping date. 6. MODIFICATION OF GOODS: Once the Effective Date is established, Buyer may not modify or in any way change the specifications of goods or any of the terms of this agreement without the prior written consent of the Vendor. 7. APPROVAL OF SAMPLES: On any initial order of goods, either regular or custom ordered, Vendor may provide to Buyer a sample of the goods ordered and the colors to be used on the goods. Buyer shall inspect the sample as to its fitness for its intended use and for the colors selected. Buyer shall promptly notify in writing that the sample is or is not conforming. If the Buyer rejects the sample as nonconforming, the Buyer shall specify in detail the reasons it considers the sample to be nonconforming. If Buyer does not notify Vendor within seven (7) days that the sample was nonconforming, the sample shall be deemed to be conforming. Buyer shall be bound to accept delivery and pay for the goods. 8. CUSTOM ORDERS: If Buyer’s order requests a custom finish on the goods, the order shall be considered non-cancellable. If Buyer cancels the order or refuses to accept delivery of the goods, Buyer is responsible for the costs of the goods and expenses incurred in production of the custom goods, including, but not limited to, the cost of the fixtures, the costs of non-stock colors and the labor and overhead incurred in the production of Buyer’s goods. Any Deposit held by Vendor may be applied against the Vendor’s costs. writing and received by Vendor within seven (7) days of the Effective Date. Any order properly canceled within the seven day cancellation period shall receive a return of Deposit. 10. REJECTION OF NONCONFORMING GOODS: Upon receipt of the first shipment of goods, and prior to the installation of the goods or their use in Buyer’s business operations, Buyer shall inspect the goods to determine that the goods comply with specifications in the Price Quotation or Invoice. Buyer shall notify Vendor in writing within seven (7) days from the date of receipt of any shipment of any defect in the goods or of any variance from the specifications. Failure to notify Vendor within seven days of receipt shall be deemed to be acceptance of the goods as received. Installation of the goods by the Buyer shall be deemed acceptance of the goods by Buyer. Vendor shall not be responsible for the installations expenses or any other damages Buyer contends it incurred as a result of the goods being deemed nonconforming. 11. DAMAGED/LOST MERCHANDISE: Buyer shall be responsible for any goods damaged in shipment or for any shortage of goods occurring during shipment. It is Buyer’s responsibility to insure the goods. Vendor’s responsibility for any damage to goods shall terminate when the goods are delivered to Buyer’s carrier. 12. WARRANTY: Vendor does not make any warranty of merchantability or of fitness for any particular purposes whatsoever with respect to the goods being sold. There are no implied warranties which extend beyond the description, if any, on the face of this Price Quotation or Invoice. 13. BUYER’S EXCLUSIVE REMEDIES: The exclusive remedy of the Buyer are: in the case of any breach by Vendor other than tender of nonconforming goods, to return the goods and receive payment of the price from Vendor; and in the case of nonconforming goods, the repair or replacement of the nonconforming goods. Buyer shall be entitled to any consequential damages as a result of the breach of this agreement. 14. VENDOR’S REMEDIES: Should any rejection or revocation of acceptance of the goods by Buyer (on delivery or redelivery) be wrongful, or should Buyer fail to make a payment when due, or on repudiation with respect to and separate delivery of goods, Buyer shall be liable to Vendor for the unpaid purchase price of the goods so rejected or repudiated and for any expenses incurred by Vendor caused by Buyer’s breach. entitled to recover its reasonable expenses of litigation including reasonable attorney fees. 16. This Agreement shall be covered by the laws of the State of Georgia. 17. Time is of the essence of all the terms and conditions of this Agreement. 18. This Agreement may not be assigned by Buyer without the prior written consent of Vendor. or unenforceable provision had never been contained in it. It is important for our customers to realize that most items we sell are extremely fragile and require extra care in packing and handling. Such items require boxes and wooden crates to be custom made only by packers with years of packing and crating experience. Such custom crates also need added protection and padding on the inside. Simply put, we do not want to compromise the quality of packing. We feel it is important for our customers to realize that professional packing is not cheap and we do not want to take any chances in safely shipping our products to your destination. UPON RECEIPT, YOU MUST CHECK YOUR ITEMS FOR DAMAGE IN THE PRESENCE OF THE DRIVER BEFORE SIGNING THE FREIGHT BILL. IF THERE IS DAMAGE PRESENT IT MUST BE NOTED ON THE FREIGHT BILL, OR A CLAIM CANNOT BE FILED FOR REIMBURSEMENT THROUGH THE SHIPPING COMPANY.